Who is here for a FREEBIE today? Keep reading! You can pick up 8 of them! That's right! I'm linking up with seven other fab teacher bloggers to share some of our favorite spring-inspired activities and picture books. One lucky reader will even win all 8 books to accompany the free activities. What a wonderful asset to any classroom! I chose a classic book that I feel like most teachers may already have easy access to from their libraries. 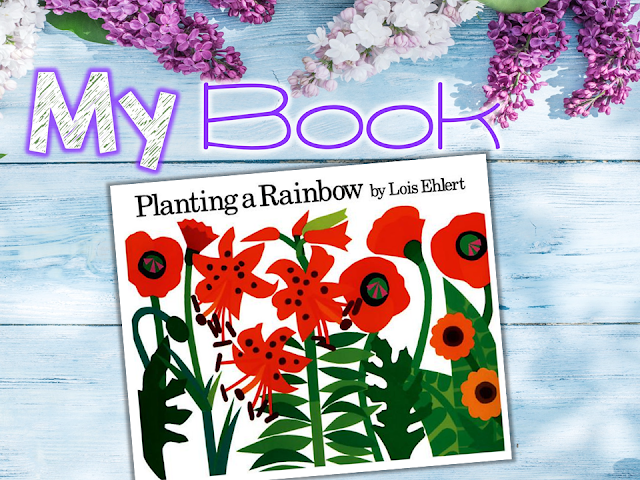 This is a quick read and one that can be a springboard into many other activities - plants, colors, spring....and even poetry! April is poetry month, after all, so I like to use this book as a springboard to writing color poems with my students. I've included all of the resources that I use to do this in my freebie - a step-by-step procedure poster, a prewriting graphic organizer (and sample), a poetry frame (and sample) in both a half-page format and full-page format, and a class book cover. 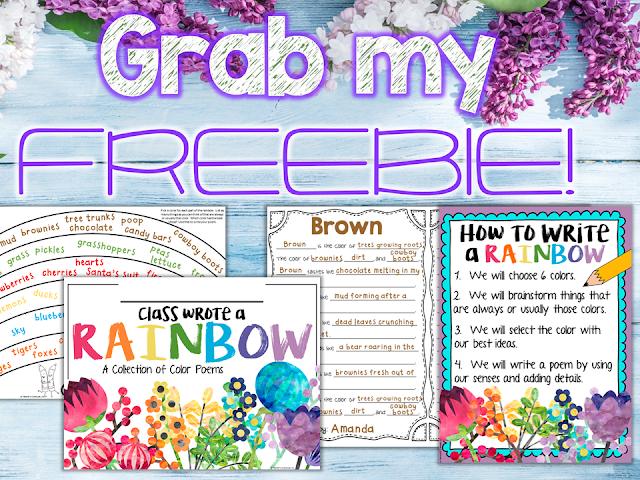 You can download the freebie from my shop, Teacher's Clubhouse. Then, you'll want to hop through the other seven blogs to collect MORE freebies. But, before you hop over to Digital Divide and Conquer to visit Matt, you'll need to jot down my number on the image below, so grab a piece of paper! 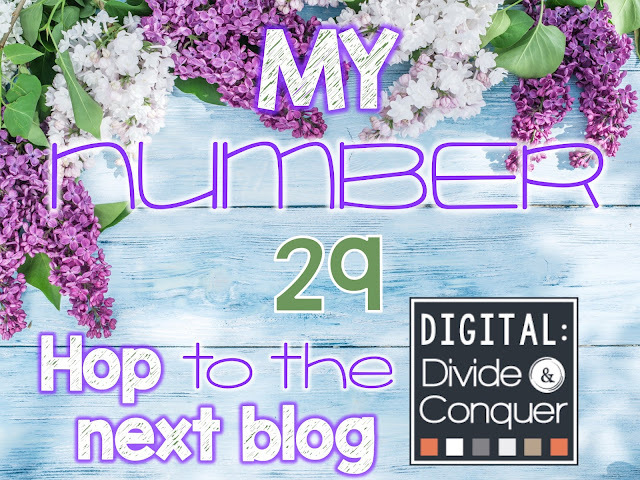 You'll collect a number at each of the 8 blogs in this hop. Just add up the numbers to find the "mystery number." 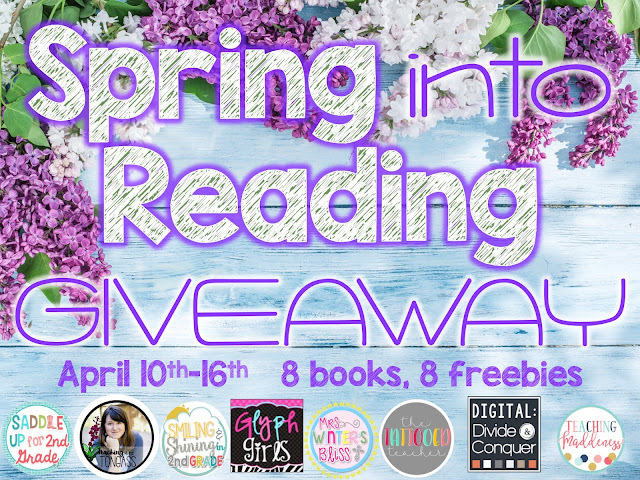 You'll enter that number into the Rafflecopter at the end of any post for your chance to win all 8 books that correlate with the freebies you collect! This giveaway will end on April 16th! Good luck!